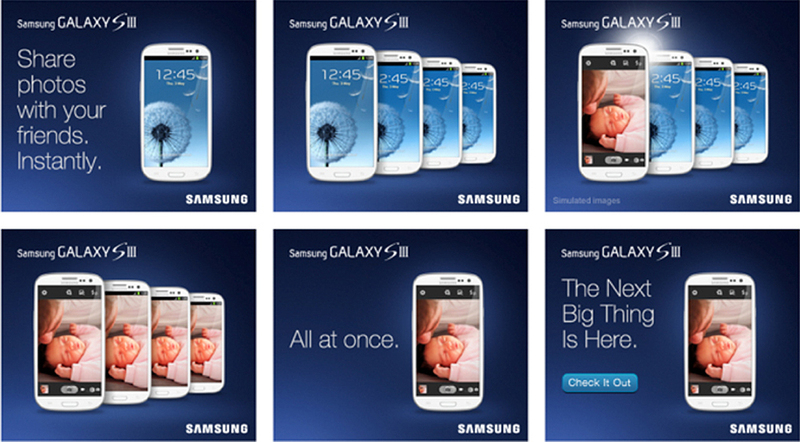 At launch, Samsung lived in the shadow of Apple. But, the Galaxy S III enabled things that were previously impossible with any other smart phone, such as the ability to share pictures, music and videos by simply tapping two Galaxy S III phones together. The challenge: Bring these key features to live via compelling video content and “never been done before” digital executions. To kick off the campaign, we created films for key features of the new device. To allow consumers to dive deeper into a broader range of features and an instructional level, we created a series of connected demo videos that educated, but still entertained the millennial target. We launched the GSIII in Times Square with a never-been-done-before sharing event allowing people to experience the power of the device first hand, and in front of an engaged crowd. “Monster Walls” in airports across the US engaged and entertained highly “mobile” consumers while bringing the features of the device to life. We designed and built first-of-their-kind kiosks that delivered free content using the NFC capabilities of the GSIII at airports, malls and special events. We extended the program in posters that rewarded GSIII owners with exclusive content downloads. We gamified the sharing capabilities of the device in our Facebook “Galaxy Arcade”. The result? The GSIII Surpassed all sales goals, and eclipsed the iPhone 5 launch. Last, but not least, we created guidelines for the brand stewards of the future.